Today is my (our) wedding anniversary. Around about 47 years ago my father took his future son-in-law to one side and asked him whether he really wanted to go through with this marriage – my father was straight out of the Victorian era and doubted I would make a suitable wife – too many ideas of my own and insufficiently domestic 🙂 At the same time my mother took me to one side and asked me if I really understood what hard work marriage would be. However, a strong family belief was that anything could be achieved with hard work – so it must have rubbed off somewhere, since it seems to have paid off. We are still together after 47 years. Also today, 47 years after my mother’s heart to heart, I have been hard at work thinking about the relationship between structure and agency in learning, for a paper I am writing with my Austrian friend and colleague Jutta Pauschenwein. So many people and well-known theorists have written about this that I wonder why it still seems to be a significant issue. That is what we are trying to pin down in our paper. I’m not sure yet if we will be successful. Despite my parents’ beliefs, hard work doesn’t always pay off, but I hope it will in this instance. But pay-offs aren’t always what we expect, particularly if we keep an open mind about what might crop up, i.e. be open to emergent learning. I have done a lot of reading this month. Pay-off enough for me is coming across an article that makes me ‘sit up’ and leaves me thinking about it for days. This month it has been Osberg and Biesta’s paper on emergent curriculum. This made me think about structure and agency in relation to the role of the teacher/facilitator in a learning environment that promotes emergent learning. Having started on my teaching career 47 years ago, I feel quite resistant to the idea that it is a role of decreasing significance in a world of open learning, where it is thought by some that everyone teaches each other. Of course I understand that everyone is capable of teaching others to some degree, and that open learning has increased the potential of learning from anyone and everyone, but I don’t think that this negates the significant role of the teacher. I am still working on why I feel so strongly about this. My third experience of ‘hard work’ this month came from a 5 day city break to Berlin, where I walked miles and came back ready for a break! There is so much of interest to see in Berlin (we barely scraped the surface) and the German people are very hospitable. 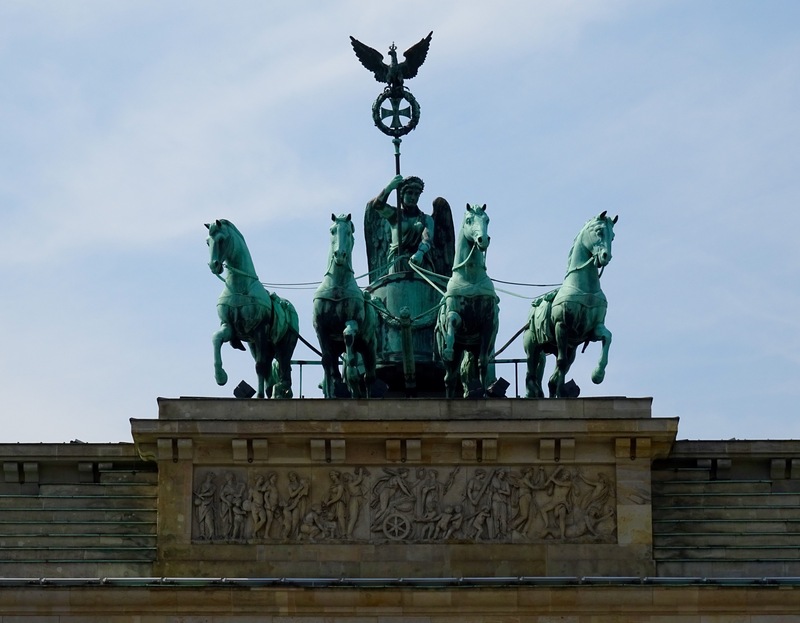 I would recommend a trip to Berlin for anyone who is interested in history, art, culture and architecture – and according to my son Berlin has a great music culture and night life – although we didn’t explore this – too exhausted after hours of walking! ALT-C 2013 is now less than a week away and I think we (Roy Williams and I) are almost ready for our workshop on Tuesday 10th Sept at 3.00 pm – Learning in the Open. There’s nothing like having to be ready for a conference presentation to focus the mind. People have always told me in the past that the value of conferences lies in networking and of course keeping up to date with the latest ideas – but I wonder if the real value lies in the necessity to reflect on your own work and its value. In our session we will share the work we have done on Footprints of Emergence. This has been ongoing for a couple of years. I drew my first footprint in May 2011. I remember really struggling to sort out and make sense of the first tentative ideas that we had. This was the result – a very crude drawing around some very tentative ideas. Since then we have published our paper ‘Footprints of Emergence’ and continued to work on improving the clarity around the drawing process and the learning factors that we consider when doing this. This work is ongoing and is not easy. We continue to have lengthy discussions about what we mean by the language we use and the results of these discussions and our thinking is recorded on our open wiki. Our latest work, in preparation for ALT-C has been to clarify the drawing process, which we have now described on the video below (we are still working on improving this video too! ), and to improve our descriptions of the factors that we use for drawing. We are looking forward to some critical discussion about the Footprints of Emergence at ALT-C and invite people to look at or join our open wiki. We also have an open Moodle discussion forum on the SCoPE community’s site, courtesy of Sylvia Currie and BCcampus. Is this course chaotic or complex? George has a great way of making what could be very confusing, easier to understand. He also manages to do this with concise papers. His Complexity, Chaos and Emergence paper is an example of this. 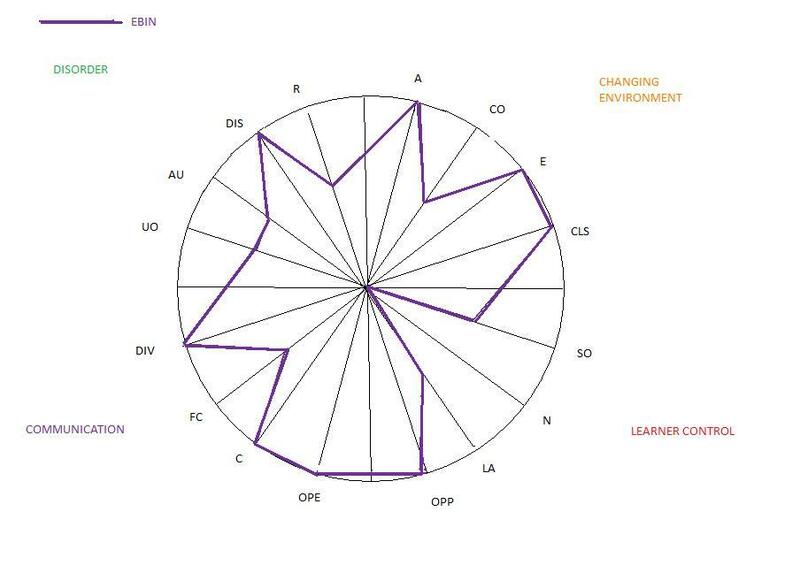 There is also an interesting post on Patrick McAndrew’s Padded Thoughts blog about chaos in relation to learning. In what way is learning chaotic? In what way is learning complex? He defines chaotic learning as learning that happens within a bounded and predictable frame. So if we think about teaching physics, for example – we know what is the curriculum and we know that the expected outcome is that people will, by the end of the course, have learned the content of the curriculum. But we cannot predict how people will learn this curriculum. So we know the big picture of the curriculum, but the learning processes that go on within the curriculum are unpredictable and chaotic. In complex learning there is no agreement about what the big picture is. There might be several views of it, but no consensus. So in the case of the physics course, there is no agreed curriculum and no agreed outcomes. There can be many surprises and examples of emergent learning. However, this doesn’t mean that there can’t be an ordered investigation into the area of knowledge being studied. Is this course chaotic or complex? I would say it is more complex than chaotic. We are not sure where we are going to end up, but we have a semi-organised way of discussing the content.